What does everyone do before purchasing an event ticket? Check their availability on that day(s). Obviously, if their schedule is packed with important commitments, people will probably decide not to attend your event. What does an organizer do before start planning? Check the calendar and pick a day (or more) to hold the event. But could this apparently easy task deeply impact the outcome of your event? What makes a good professional choose the right date for the event? 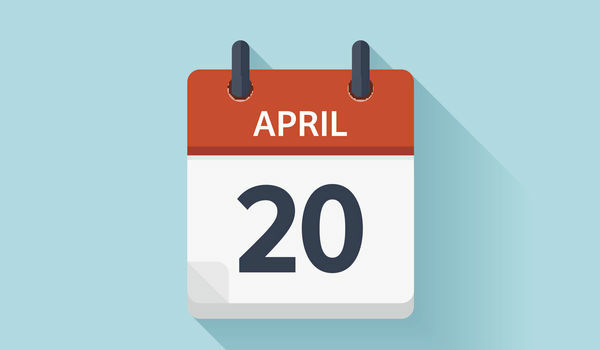 Is there a right or wrong date when it comes to events? As Laurence Carter explains, "At times, planners stage events on days, which will be conflicting with other major activities that will tend to attract people who would have possibly attended their event." Carter continues by saying, “These alternative events can also affect the availability of event resources that you may also need for the day that you have chosen, but may then be in use by other competing event(s)." Moreover, big-scale events in your city mean there are fewer resources available for your event. So if you decide, let’s say, to run an international conference at the same time as other two congresses (in a small- or medium-sized city), your attendees may encounter extreme difficulties finding hotel or Airbnb rooms or event travel tickets. So whenever you have to pick an event date, ask the Convention Bureau representatives to email you a list of events that are going on in the time frame you have in mind. This little task can avoid unwanted troubles. Always be aware of what's happening in the world. Imagine that you want to gather the best cardiology professionals for the first edition of a big international conference, yet you plan the event at the same time as a well-known annual cardiology congress, which is held in a different country. Obviously, you may have a lower attendance rate and a less attractive panel of speakers, as most cardiology professionals, researchers, and doctors will probably want to attend the famous congress instead of your event. Flight controller or public transportation strikes can ruin a flawlessly planned event in just a few minutes. Attendees won't be able to get to the event, and you'll probably need to cancel it. Before choosing an event date, check for any upcoming strikes. Unannounced strikes also happen. There’s also a chance you may find out about one a few days before the event. These are the risks you’ll always take as an event professional. Most strike initiators will always give the public a heads up before a huge strike so people can make alternative plans. Your event depends almost entirely on your suppliers. Whether it's audiovisual, catering, or venue services, they all have a certain schedule and amount of demands they can fulfill. Also keep in mind the time of year; for example, in some European countries, many people are out of the office on vacation in July and August. Make sure your event suppliers will be available and can fulfill your needs. "What does the weather matter? I'm not planning outdoor events", you may be thinking. Well, while that may be true, climate conditions can also affect indoor events. How? Let's say you plan an amazing social program with city panoramas and gastronomy tours in the old town. How will your guests enjoy all these amazing experiences if it's pouring rain or freezing outside? Apart from flawless logistics and engaging experiences, the date can also determine the success of your event, so choose it wisely. Take into account the concurrent city events and similar activities elsewhere. Don’t forget to check for preannounced strikes and always confirm the availability of event suppliers beforehand. Finally, make sure the weather conditions won’t ruin the experience for your attendees. While you can’t control everything, choosing a date carefully will diminish some risks.